Online purchases have extra protection; a seven day cooling off period and a guaranteed full refund if the goods haven't turned up within 30 days. You may dream of console games and compact, yet state-of-the-art GPS systems, but novelty socks and Homer Simpson tankards are the dire reality that most of us wake up to on Christmas morning. Thankfully, we're here with a timely round-up of tips on taking things back to the shop. Most people assume that you have the right to take back any gift to the place it was bought. That's not the case. Shops are only obliged to fully refund items that are faulty, not fit for the purpose for which they were bought or not as described. If that's the case you have a "reasonable time" to return those items under the Sale of Goods act – which translates to a few weeks after purchase. Don't despair, though. If your present doesn't fit, is the wrong colour or you just don't like it, you should still be able to take it back to the original shop. Most high street retailers operate a "goodwill" returns policy. How stores handle returned gifts varies, but most will offer you gift vouchers or a credit note. Some may even offer a refund if the item was paid for in cash. Though it's potentially embarrassing to ask for it – you will need the original receipt from the shop to take an item back. At this time of year some larger stores offer "gift receipts", which have additional details on them. Without a receipt – unless the item is seasonal and exclusive to the store it was bought from – you're unlikely to be offered anything more than directions to the exit. The majority of high street stores specify that goods must be returned within 28 days. If you're polite but assertive, you may be able to stretch this time period if you explain your predicament to the store manager because it's entirely at their discretion. Some shops are willing to accept Christmas returns up until the end of January. Marks and Spencer remain the king of the high street refunders – with dedicated return desks and a 90 day goodwill policy. It's little known that the Sale of Goods act applies to second-hand goods as well as new. If you've been bought a second-hand Scrabble set with missing tiles or two used left shoes – you can take them back and ask for a refund. However, if you simply don't like the perfectly working Stylophone that Auntie Pat got you from Oxfam – shame on you for trying. With the credit crunch kick-starting the January sales a full month early, there are already lots of bargains to be had. But, be aware that some stores have a different "goodwill" returns policy for sale items than their regular stock – and it's often because it's old stuff they can't shift. If there's a fault with an item though, the Sale of Goods Act will apply. Don't be put off by assistants telling that you can't take back sale items – as long as the item was sold as perfect you can return any item that was broken at the time of sale or was not as described. There are some things you shouldn't even bother trying to take back unless they're categorically knackered. 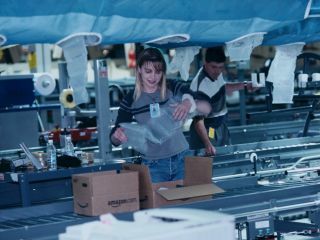 Most shops will refuse returns on anything that can be digitally copied if the shrink wrap has been cracked, so make sure you don't open that copy of "Mamma Mia" out of curiosity. You can also forget items like make-up, earrings and underwear. No one wants to wear a pair of used pants. Perishable items like cakes and biscuits are also excluded from standard "goodwill" policies. If your gift was bought online – or from a catalogue - you may have some extra rights. Distance selling regulations give you a "cooling off" period of seven days from day the buyer received them. Handy to know if the person who purchased your gift was a last minute, online shopper. If you simply don't like your present and return it the shop where it was bought, you'll have to accept whatever action the store decides to. However, if the item is faulty you are entitled to cash. You may be offered a repair, an exchange or even vouchers. You are not obliged to accept any of these offers if the goods are faulty or not as described.